While the home entertainment side of the tech world takes a breather for a few weeks, the realm of computing never sleeps. And nore does the world of mobile, for that matter. This week's reviews have been dominated by computing products, with a sprinkling of compelling phones and tablets mixed in as well. The Acer Iconia W700 is certainly a step forward for full-fat Windows tablets, and one of the few we've seen that can genuinely offer the experience of a full laptop and a tablet as well. 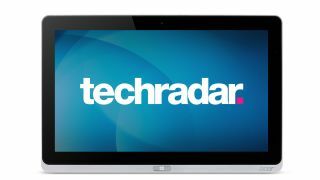 Devices like the Sony Vaio Duo 11 or Toshiba Satellite U920T have erred too much towards the laptop form factor, while the current crop of Windows RT tablets suffer from usability issues, a limited ecosystem and are far too expensive. The Acer W700 has found a useful niche, and we can genuinely imagine having it docked into a desktop type set up at work, before watching a movie and using the increasing amount of Windows 8 apps on the way home. The Sony NEX-R5 shows how compact system cameras are really coming into their own. The design doesn't rely on retro chic, but instead uses modern research and development to create a compact body shape that both fits the electronics and also feels comfortable to hold. The merging of the tilting screen design from the Sony NEX-F3 and the control dial feature of the Sony NEX-7 make this a very user-friendly camera for both the beginner and intermediate photographer. If you're just getting into photography, looking for a CSC upgrade or wanting a second body to complement your DSLR, the Sony NEX-5R is the perfect companion. Would we buy the Motorola Razr i ourselves? No. But that's because we strive for the best specs around, and for us, that means phones such as the iPhone 5, Samsung Galaxy S3 and HTC One X. Would we recommend the Motorola Razr i to friends and family? Yes, without a second's hesitation. Because not everyone wants a phone that will drop the kids off at school, bake you a cake and give you a massage in the evening. Some want a device with little pocket imprint, with fantastic specs at a reasonable - rather than stupid - price. And that's what you're getting here. If taking photos is your sole aim or you're OCD about pixels, look elsewhere. But if getting a decent smartphone with a good battery, for a good price is what you want, look no further. The Nokia Lumia 620 is a great little handset. While it can't compete with most other Windows Phone 8 handsets, such as its big brother the Nokia Lumia 820 or the HTC Windows Phone 8X, with a price tag of just £150 (around AU$225/US$235) it doesn't have to.